Dry pressure gauge for agricultural anhydrousc ammonia (NH3) applications. Constructed with black steel case, stainless steel internals, and stainless steel 1/4" male national pipe thread lower mount. 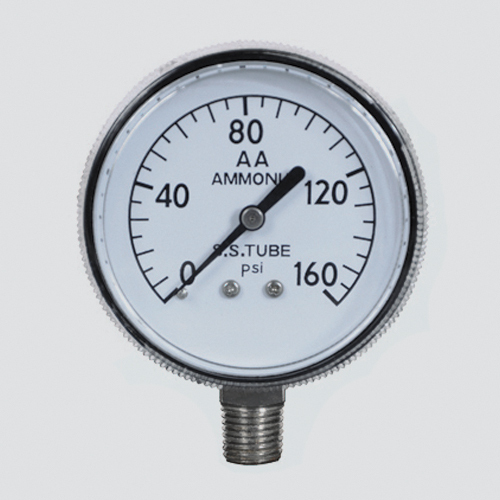 Meets or exceeds ASME B40.100 pressure gauge standards.